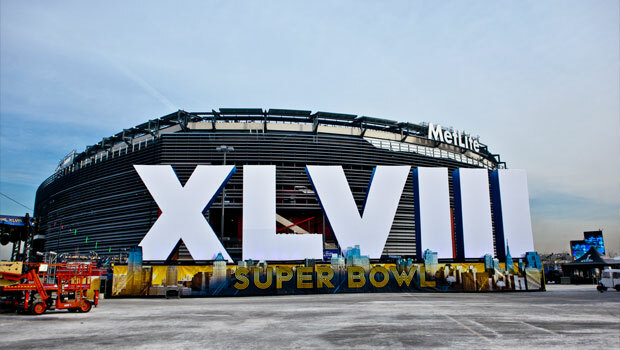 MetLife Stadium prepares for Super Bowl XLVIII. Photo by Anthony Quintano. One of America’s favorite pastimes is watching a sports game – on television, live at the stadium or even in the park. Football and baseball are the more popular sports in the U.S., but there are many other options from professional, minor league and college sports teams, like soccer, hockey, basketball and tennis. NASCAR is also a hugely popular sport in certain sports in the United States, particularly in areas of the South and Midwest. Check out the Sports & Recreation section of each state in our Cultural Compass guide to learn more about sports in your area, and consider trying out some favorite American sports for yourself!